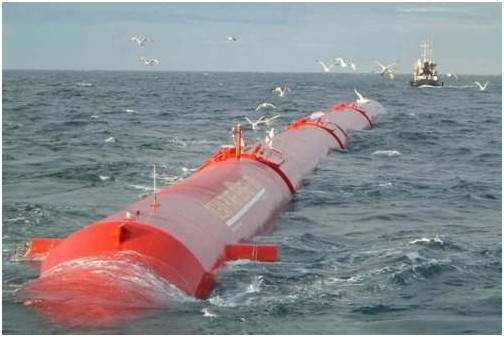 Wave energy is produced when electricity generators are placed on the surface of the ocean. The energy provided is most often used in desalination plants, power plants and water pumps. Energy output is determined by wave height, wave speed, wavelength, and water density. Waves are generated by the wind as it blows across the sea surface, so that energy is transferred from the wind to the waves. 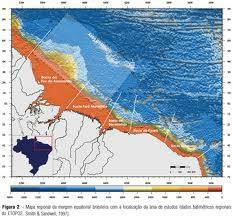 Wave energy is sometimes confused with tidal energy, which is quite different. Waves travel vast distances across oceans at great speed. The longer and stronger the wind blows over the sea surface, the higher, longer, faster and more powerful are the waves. The energy within a wave is proportional to the square of the wave height, so a two-meter high wave has four times the power of a one-meter high wave. 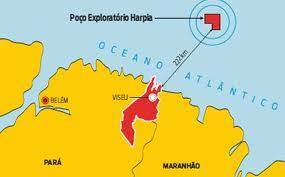 To date there are only a handful of experimental wave generator plants in operation around the world, the first of which is located off the town of Aguçadoura in Portugal, developed and operated by Pelamis Wave Power. Like wind mills and wind turbines that generate power and electricity from the wind, researchers are trying to generate power from the waves. Years of extensive research and development of the Pelamis concept, using numerical modelling and tank testing of scale models, led to the manufacture of a full scale prototype of the Pelamis wave energy machine. The prototype was first tested at the European Marine Energy Centre in August 2004 and became the first commercial scale offshore wave power machine to successfully generate electricity into a national grid. Following the successful testing of the full-scale prototype, an order was secured for three full-scale Pelamis machines from Portuguese electricity utility company Enersis. Officially opened in September 2008, the Aguçadoura Wave Farm is located off the northwest coast of Portugal. 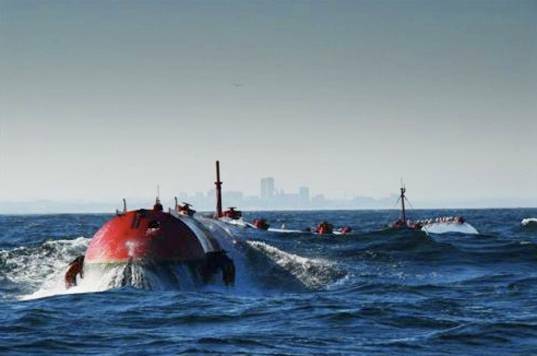 This wave farm with its three wave energy converters, produces a total of 2.25MW. Pelamis Wave Power researchers with expertise covering a range of disciplines that include hydraulics, electrical, structural and offshore engineering, software development, electronic design, project development and communications are working on the development of the prototypes in order to guarantee reliability and efficient wave energy conversion. 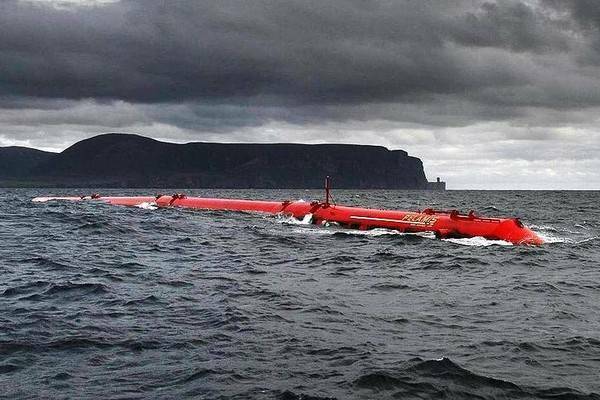 Pelamis works with energy companies trying to harness wave energy in order to meet the global need for clean, sustainable, renewable power generation. 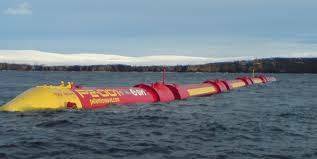 With waves being formed on basically all the coastal areas worldwide, wave energy technology has true potential as an efficient, low cost alternative energy source with low, if any, environmental impact. Pelamis Wave Power is privately owned and has raised some US$69 million to date to fund the development of Pelamis technology from a variety of financial and industry backers, in addition to approximately US$29.13 million revenue from sales and services as well as a degree of government funding. Currently, Pelamis Wave Power is actively seeking a strategic partner capable of taking the world’s most advanced wave energy technology into serial production.